Today we have this excellent vintage arithmetic primer by Frank Hall for grades 1 and 2, outlining two full years of concepts, lessons and examples for younger students. In the remainder of the book, the 1st and 4th pages of each group are similar to the corresponding pages of the first eleven groups. The 2nd page teaches the application of primary facts to the larger numbers. The 3rd page deals with solid, surface, linear, and capacity measurements. 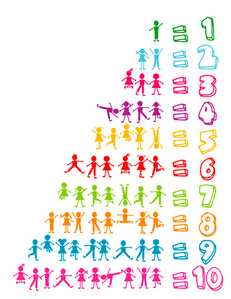 Great guide for introducing arithmetic to primary students! To download this PDF scanned from the original text, RIGHT CLICK HERE and “save link” to your computer. Mac users, press the “control” key then click the link and save to your Mac. This neat site offers an intriguing daily article along with math problems for three levels of learners. It’s a fun change of pace and a painless way to challenge your kids with a fun problem each day. And it doesn’t HAVE to be at bedtime. Any convenient time you want to add a little math to your day will work. Don’t sweat it. Bedtime Math hopes to be part of your daily routine, but if you’re having one of those days that started with the toilet overflowing, don’t worry. 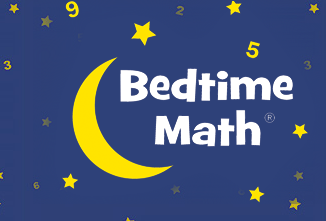 Bedtime Math problems are here when you want them, when you’re ready. It’s not official. Bedtime Math isn’t an official “curriculum.” It’s just a fun chance for kids to do math in their heads, so someday when they’re shopping and everything’s 20% off, they can figure out the sale price before the store closes. Take it by the horns. While Bedtime Math loves mental math, it’s totally cool to use paper and pencil when needed. And if your child wants to tackle a harder BMP, go for it! You can walk your kids through the steps if they’re stuck, and they’ll be excited to wrestle hard with something and get the answer. Simmer down. The BMPs aim to be fun and lively, but they won’t keep your kids from falling asleep. In our experience, math can get kids to sit still, focus, and quiet down. MasterMath.info has 135 middle school math lessons available for 6th, 7th and 8th grade math plus Algebra 1. Each lesson includes a 12 – 20 minute video lesson, a worksheet, an answer sheet, a self-grading quiz showing corrections for missed problems, and a link to another web-resource that will help the student “master” the concept. All of this is free-of-charge, and they have a paid option for one-on-one online tutoring if your students need it. 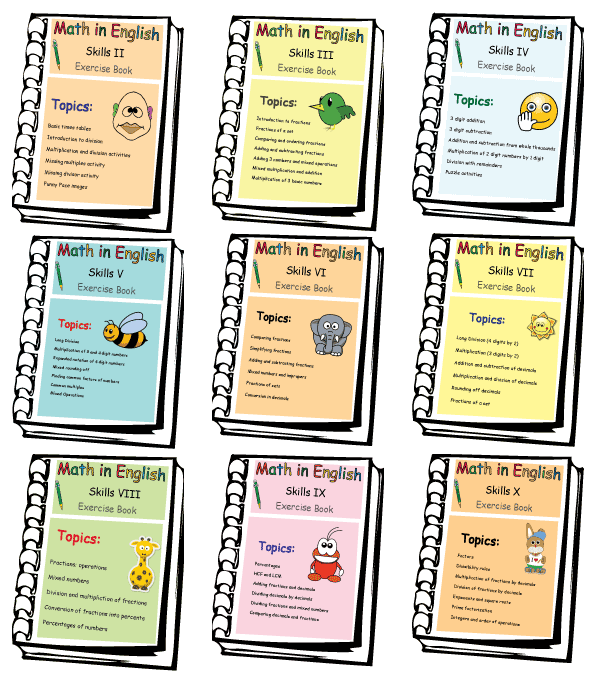 Math in English has a large collection of remedial math resources including downloadable/printable worksheets and workbooks, number puzzles, online math games and math videos. There’s a whole series of math practice workbooks for grades 1 through 6, with progressively harder problems in addition, subtraction, multiplication, division, fractions and more, available in PDF. The clip art they use is pretty lame, but the actual worksheets are just fine. To go to the website, CLICK HERE! The creator of Eclectic Homeschooling has a great page filled with geography, history, Bible, fine arts and English unit studies she has put together over the years while homeschooling her kids. These have lots of book suggestions and tons of hands-on activities that are kid-friendly ways to learn about each subject in-depth. We love unit studies around here and over the years I have put together lots of different studies for my kids. I’ve compiled them all into one big list. Some of them have taken us an entire school year to finish and some have taken 3-4 weeks. We usually have several going at once. These studies aren’t intended to incorporate lots of different subjects, but are designed to cover one topic in depth without the limitations that come with needing to cover all of the subjects in one topic. So if we study a country we explore it in a way that help my kids connect with the subject. I don’t concern myself with my child needing to show understanding through writing about the topic. We learn and discover together and discuss as we go. 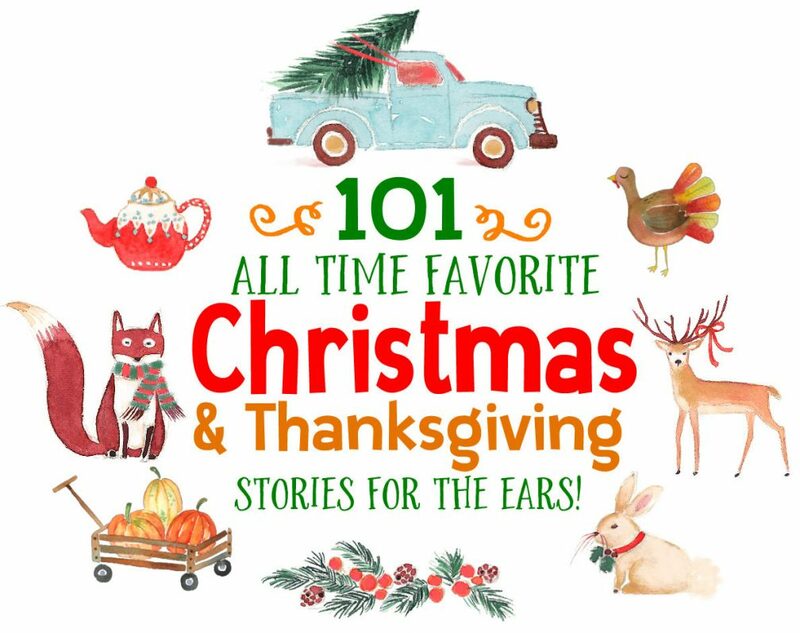 Lots of great ideas and interesting study topics here! Paul Ramirez created this great site that is dedicated to providing online access — free of charge — to the entire contents of Ray’s New Arithmetic: Primary, Intellectual and Practical (the first three volumes in the series) – in both PDF format AND video lessons to accompany each lesson. Ray’s was a comprehensive series of public school math textbooks written by Dr. Joseph Ray, and were used widely throughout the mid-to-late nineteenth and early twentieth centuries in America. Students can gain a solid foundation in mathematics by learning from one of the most successful, popular and longest-running sets of textbooks ever published. (How many textbooks can you say that about?! )What’s so special about offering FREE online access to these books (downloadable PDFs)? Nothing. Other sites do that. However, this site, in addition to the free PDFs also offers free video lessons based on these textbooks, grades K through 5. The video lessons are free of charge, available for viewing here and also on our Ray’s Arithmetic You Tube channel. Also, . .Besides the video on each lesson page, there is also the actual Ray’s Arithmetic lesson included from the book directly below the video. In other words, you don’t even have to go to the printed pages of the book (PDF) to refer to a particular lesson because the lessons themselves are RIGHT ON THE SCREEN! What does that mean for you? Well, my fellow homeschooling parents, grandparents and advocates/promoters/defenders of educational liberty and academic freedom — and other interested folks who just want to be well-grounded in the fundamentals of mathematics — it means that you now have an easy-to-access, easy-to-use resource for incorporating this classic and very powerful math learning tool into your personal and family study regimen, which has served generations of children well and continues to serve students of all ages well into the 21st century. One of our favorite history publications for the past 50+ years was American Heritage, “the distinguished magazine of history”. Their lavishly illustrated articles on all things American – history, values, ingenuity and culture – are just great. After ceasing publication of the physical magazine in 2016, it has returned in an online format. 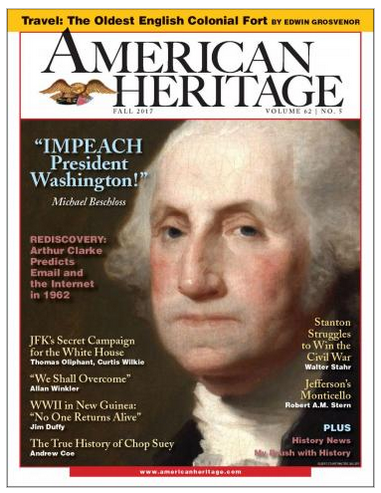 The magazine is currently offering free subscriptions to the new digital version of American Heritage. Subscribers receive free digital issues and newsletters as they are published, plus access to over 7,000 articles and essays in their archives. The newsletters will be once-a-month emails with history news, reviews, and other items of interest. Over the past 10 years, Dad’s Worksheets.com has created over 8,600 printable math worksheets, logic puzzles and math games for students at every level — and makes them available free for printing or downloading on their website. Just about any mathematics topic you can think of can be found here, including all the core math skills, number patterns, measurement & conversions, word problems, geometry, rounding numbers, factorization, and on and on. 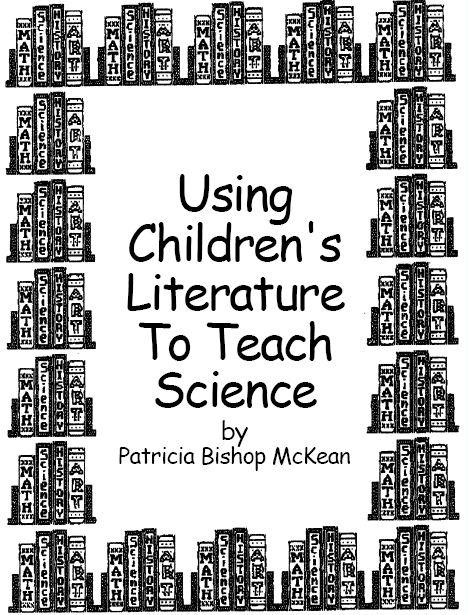 All worksheets can be printed or saved to PDF.